Bennett Law Office, PC/Tamera H. Bennett Singer Songwriter Carly Simon Sues Starbucks alleging “concealment of material facts,” “tortious interference” with contract, and “unlawful, unfair and fraudulent business practices.” All because album sales were lower than anticipated. Broken trust, men misbehaving, women trying to recover these sound like themes from a Carly Simon song. But this time Ms. Simon was telling a story about her most recent record. Bennett Law Office, PC/Tamera H. Bennett Paul Anka Gets Credit For Song Co-Written With Michael Jackson. Anka is co-writer of song and owns music publishing interest. 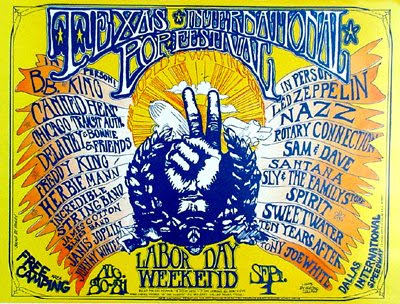 "Woodstock" At Lewisville "Texas International Pop Festival"
by Tamera H. Bennett Labor Day weekend marks the 40th anniversary of the "Texas International Pop Festival" held just a few miles south of my office at the old speedway. 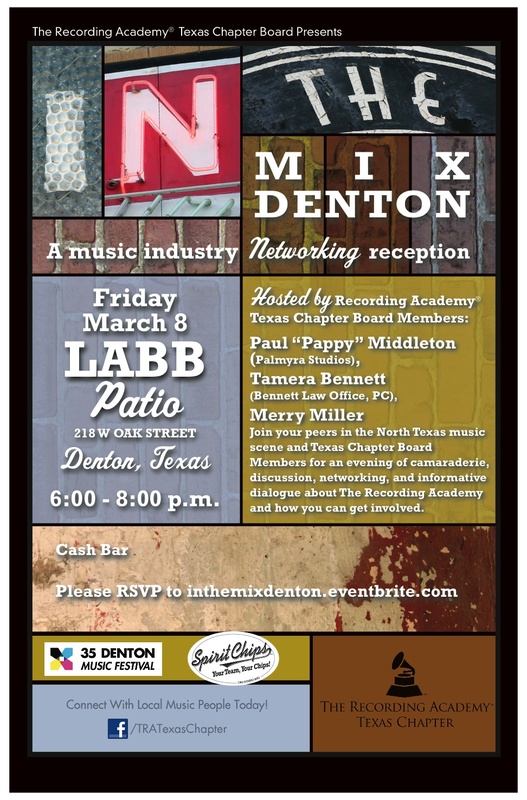 Over 100,000 folks were "Lewd in Lewisville" listening to artists including B.B. King, Canned Heat, Chicago Transit Authority, Freddie King, James Cotton, Janis Joplin, Johnny Winter, Led Zeppelin, Nazz, Sam and Dave, Santana, Slay and the Family Stone, Spirit, Ten Years After and Tony Joe White. Impromptu concerts rocked all night at the campground at Lewisville Lake. (Just a mile north of my office). Read this great article and this great article in the Dallas Morning News. Go to the official event website to learn more and view the event program, see more photos, and learn about the book that is in the works. half-block from my office in Old Town Lewisville. Read here for the history of Lewisville, Texas. So, yes we are hip in Lewisville, just maybe not so many hippies anymore. Hope you enjoyed this tid-bit of Texas History. Update: Our local Dallas ABC affiliate featured the Texas International Pop Festival today. Click here to watch a video of the story. 1. I like being part of the Texas legal community. The support we extend and receive reminds me of how businesses supported one another in the old town square. The success of my legal colleagues is a reflection on me. 2. I like working myself out of a job. As a transactional entertainment lawyer and intellectual property attorney I help clients protect and leverage their IP with the plan that someday they will sell their assets. 3. I like that most days I get to listen to great music from talented singers/songwriters as part of helping maximize their earning potential. 4. I like being my own boss. I'm the hardest boss I have ever had, but I am able to arrange my schedule to be involved in activities, such as being a Cub Scout den leader. 5. I like finding alternative solutions to issues facing my clients. The ability to view a situation from all angles -- and be appreciated for that skill -- is very rewarding. Originally published in Texas Lawyer, February 16, 2009 Vol. 24, No. 46. Reprinted with permission. Just this week I posted an update here on the dispute between Jackson Browne and John McCain over the use of the song "Running On Empty" in a campaign ad. The issue of using songs without permission in political campaigns has now moved to France. US indie band MGMT has demanded compensation from French President Nicolas Sarkozy's party for using their hit "Kids" without permission at rallies and in advertisements. Some would say this is great timing...other's would say bad timing for this to be exposed. In two weeks a new anti-filesharing bill is scheduled to be presented to the French national assembly. by Tamera H. Bennett UPDATE: The parties entered into a confidential settlement agreement and the case was dismissed on August 4, 2009. The court in Browne v. McCain (Central Dist. Cal. CV 08-05334-RGK (Ex)) denied McCain's and The Republican National Committee's motion for summary judgment requesting a dismissal of the copyright infringement case brought by songwriter Jackson Browne. The court will also allow Browne's causes of action for Common Law Right of Publicity, Vicarious Copyright Infringement, and Violation of the Lanham Act to move forward. The Court stated "Moreover, Senator McCain has not established that Plaintiff’s claim is barred, as a matter of law, under the fair use doctrine. The mere fact that Plaintiff’s claim is based on defendants’ use of his copyrighted work in a political campaign does not bar Plaintiff’s claim as a matter of law." The Court dismissed all claims against the Ohio Republican Party, also named in the suit, for lack of personal jurisdiction. Our original post on the topic is here. Posts involving music and the McCain Presidential campaign are here and here. Read more from the Hollywood Reporter and from the Washington Post. By Tamera H. Bennett Rocker Sammy Hagar sued a Fresno developer who franchised his popular Baja California cantina and nightclub, saying his Cabo Wabo brand is denigrated. Hagar alleges he was never paid royalties for the use of his Cabo Wabo brand. Red Head, Inc., Hagar's licensing company, holds 24 pending applications/trademark registrations for marks that include the terms "Cabo Wabo." UPDATE: I guess great legal minds do have the same ideas .... for an in-depth look at the legals issues visit the Las Vegas Trademark Lawyer blog. by Tamera H. Bennett Michael Jackson was sued this week for defaulting on payments due John Landis, the filmmaker who co-wrote and directed the "Thriller" video . Landis' credits include Animal House, The Blues Brothers and Trading Places. On a side note.... one of my favorite scenes from "13 Going on 30."